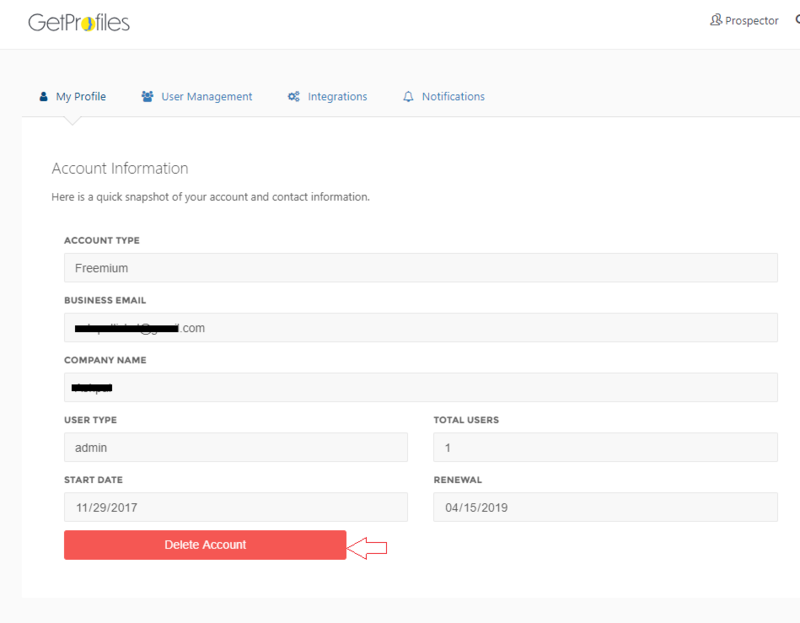 How to delete my free GetProfiles account? In your GetProfiles account, click your account name in the top right corner, then click Settings. In the tab menu My Profile, click Delete Account. A popup will appear to confirm the deletion. Just click Yes, to permanently delete your account.